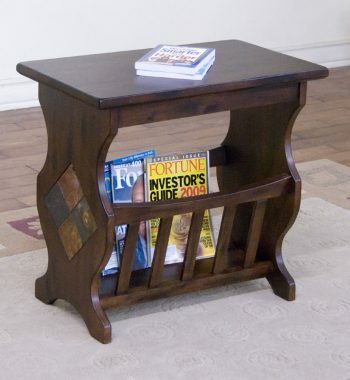 McKenzie End Table. 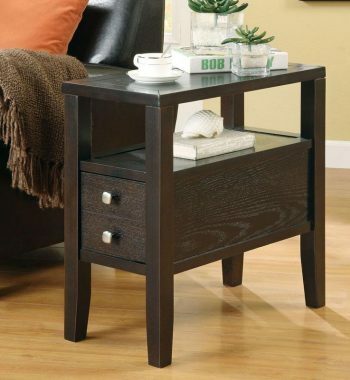 This end table is made of solid alder hardwood, alder veneers. 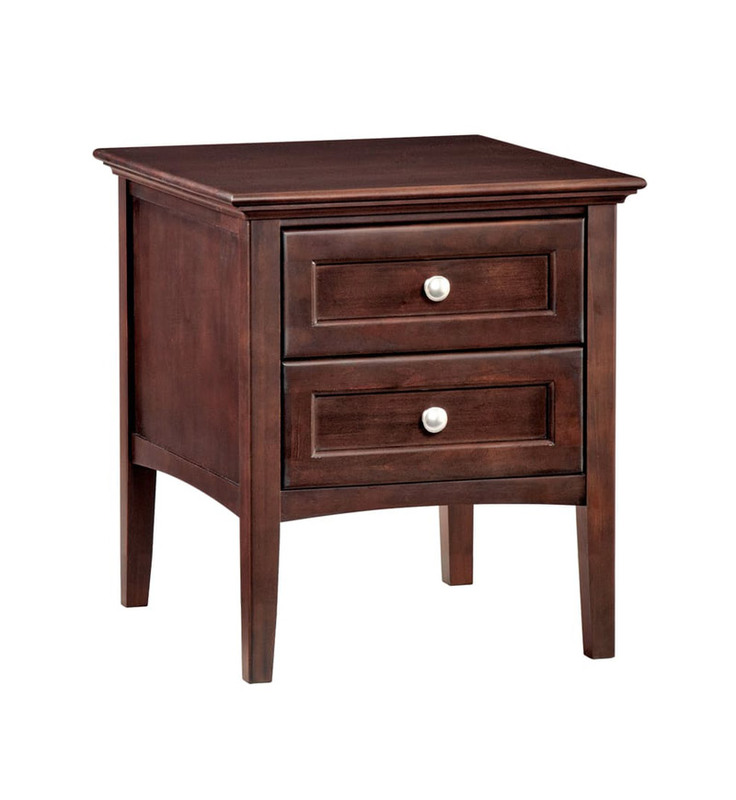 It is partially assembled. 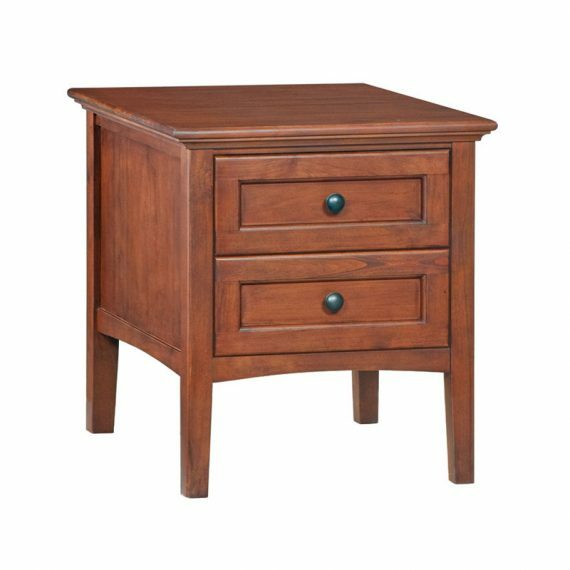 It comes in either a glazed antique cherry or a caffe finish. 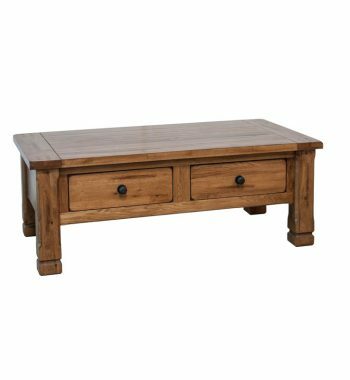 Features include full extension ball bearing slides, english dovetail drawer construction, solid plank top, and cd/dvd storage. 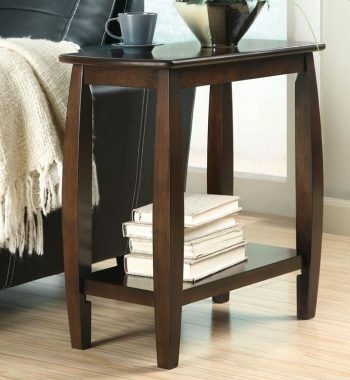 Category: Coffee & End Tables Tags: McKenzie, Whittier Wood Brands: Whittier Wood Furniture. 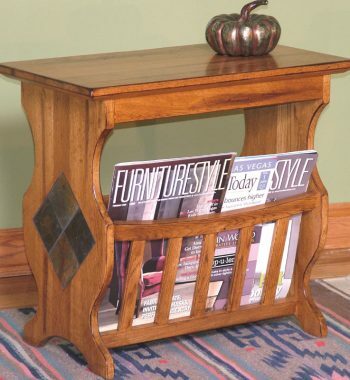 Sedona Magazine Table. 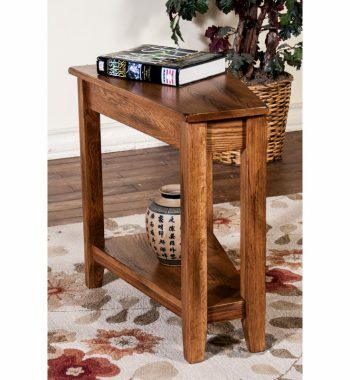 This end table comes in arustic oak finish, and is made of oak and natural slate. 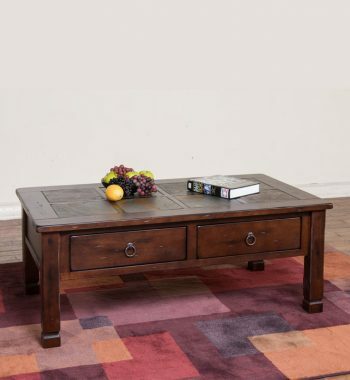 Aberdeen Coffee Table. 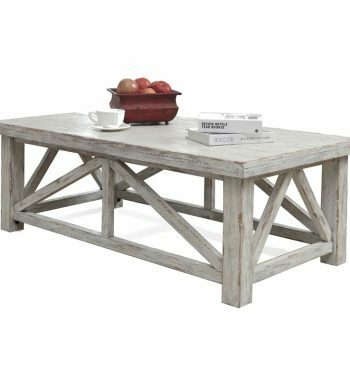 Features include: Constructed of Poplar hardwood solid and Poplar veneer, Top is random thickness with physical distressing. 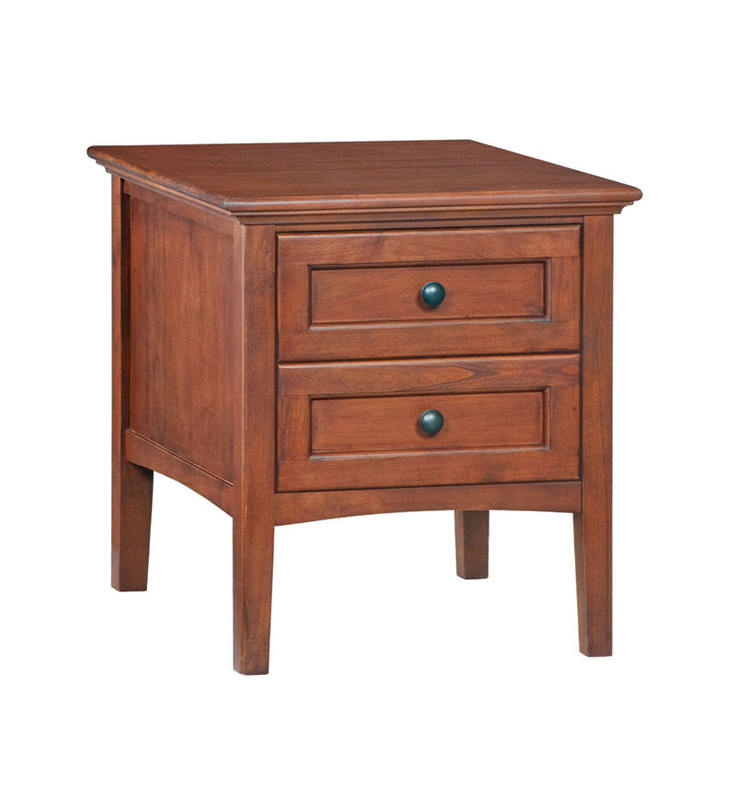 Mission Storage End Table. 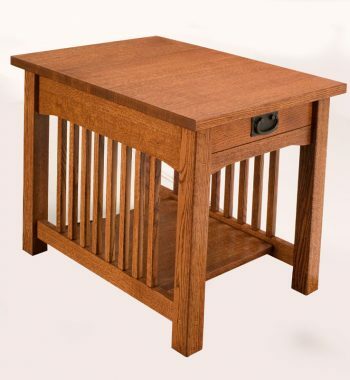 This end table is made of Solid Quartersawn Red Oak. 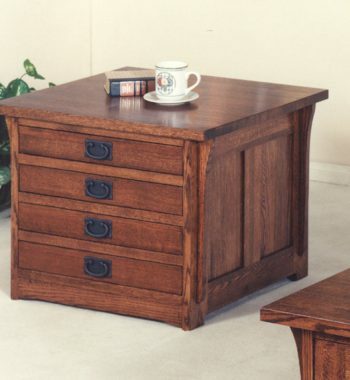 It features 4 drawers. 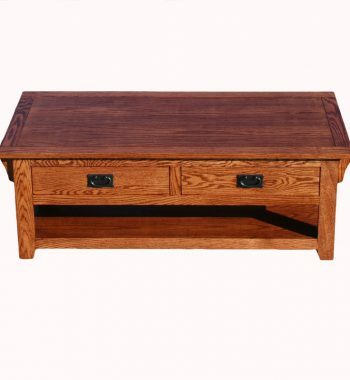 Mission Oak Coffee Table. 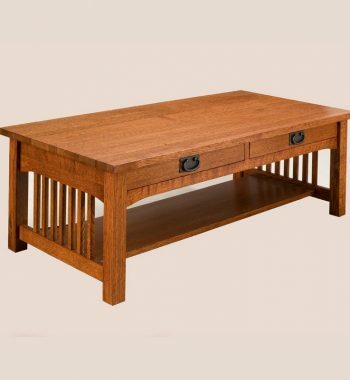 Mission Coffee Table with 2 Full Extension English Dove-Tail Drawers.